IT’S BACK!!!! Join me for a 3 Day Color Theory Workshop and learn how to mix and use color! This has been the most requested workshop that I offer. Now you can see what all the buzz is about! Take your art to the next level and learn how to use color to make an impact. Spend three full days learning how to mix colors, understand color values and intensities. If you’ve ever tried to read and understand color theory, you know it can be very confusing. I will make it as simple as possible so you will be able to use this very valuable information and create powerful art this year! Register by January 15th and take 10% off the $200 fee! I’ve been under Audrey’s tutelage for 3 years now. During that time, I progressed from pencil drawings to acrylic paintings. Although I enjoy acrylic painting, I still felt I had not found my niche. Then, Audrey introduced me to pastels. 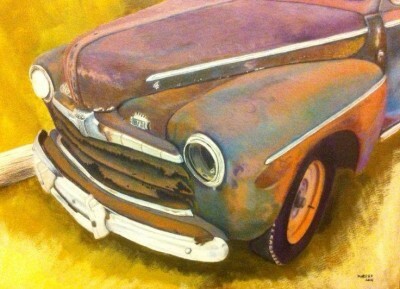 I love the freedom and creativity you get from pastels. There is something freeing about getting your hands dirty using pastels. The transition from paints to pastels has come naturally. I really appreciate Audrey and the skills she has helped me to develop, and for letting loose the pastel beast I never knew existed.